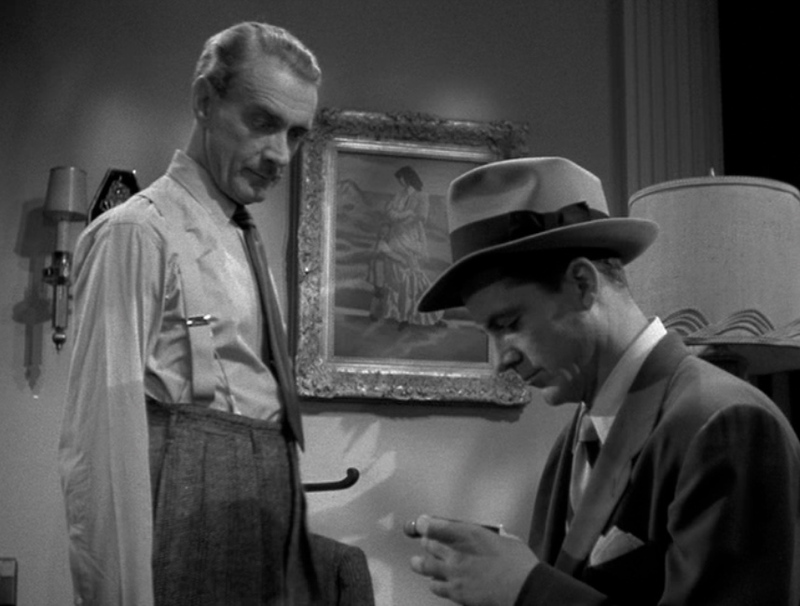 Andrews’s McPherson enters Waldo’s apartment with an obvious self-confidence – and semi-indifference- of a man who has indeed “seen it all”, although he’s also somewhat intrigued, if not amused, by this museum-like “home” he sees. Waldo, in his own voiceover, reveals that he wanted to show the detective that it’s only he who’s the boss in his own house (“I had him wait”), and wanting to make that even more clear, he didn’t even bother to interrupt his bath, which he combined with typing from inside his bathtub. 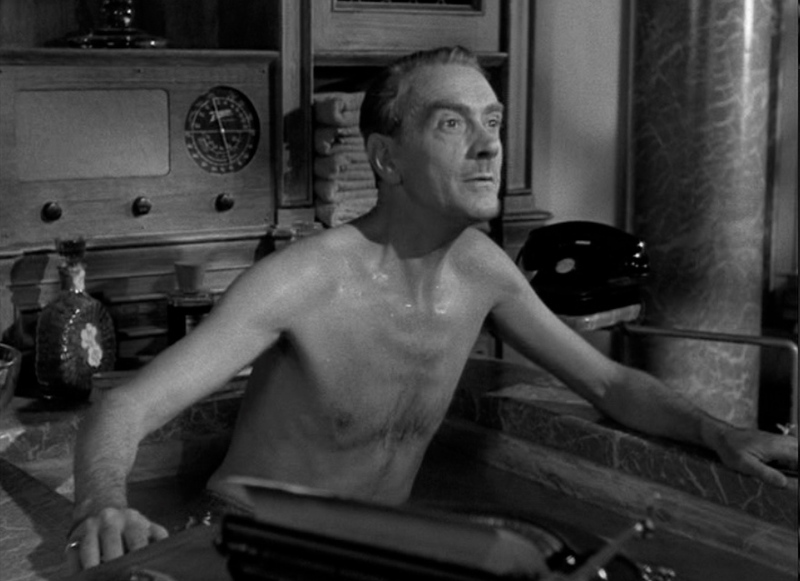 This is indeed a very good explanation for the function of that particular, much-discussed scene: Waldo Lydecker is an eccentric man, an undisputed “king” in his own “kingdom”, who will absolutely not change his daily routine or programmed activities for some cop who had the audacity to come in his own house, and question him. Waldo: Have you ever been in love? Mark: A doll in Washington Heights once got a fox fur out of me. Waldo: Did you ever know a woman who wasn’t a doll or a dame? Mark: Yeah, one. But she kept walking me past furniture windows to look at the parlor suites. 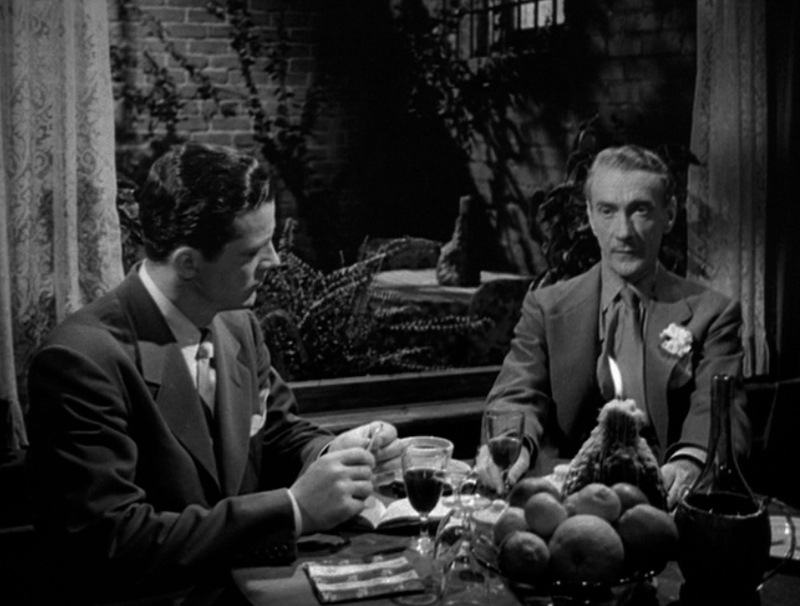 This somehow makes Waldo find Mark worthy of his attention, and although he had initially dismissed the young detective’s questions about his feelings for Laura and vice versa, he invites him to none other than Laura’s and his own favorite restaurant, choosing to sit at what had been their favorite table. There, encouraged by Mark, the good listener, and watching him getting more and more absorbed by his words, Waldo will describe how he met the young Laura (still a neophyte), her development into a top-professional and an alluring woman, their time spent together – while we have the privilege and joy to watch his descriptions visualized on screen through a superb montage of brief, but vivid images. The detective who at first didn’t give but only one look to Laura’s portrait in her apartment, is now captivated by this extraordinary eulogy of this “dead” beauty, who had “warmth, vitality, authentic magnetism”… Waldo uses all his mastery with words, and phrases like “the way she listened was more eloquent than speech” and “she became as well-known as Waldo Lydecker’s walking stick and his white carnation” fuel Mark’s imagination, while obviously waking up a sense of longing for an “ideal woman” that was already lurking inside him. Waldo is essentially a sort of a “seducer”, in the sense that it’s HIS words, HIS narration, HIS Laura that Mark is falling in love with. 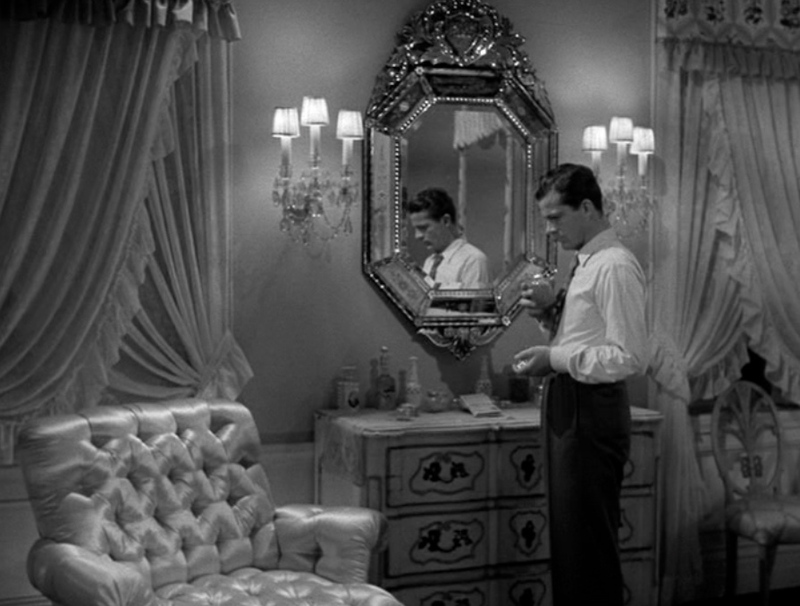 In the film’s most perverse twist, the seeming pragmatist will fall for a woman he believes to be dead. 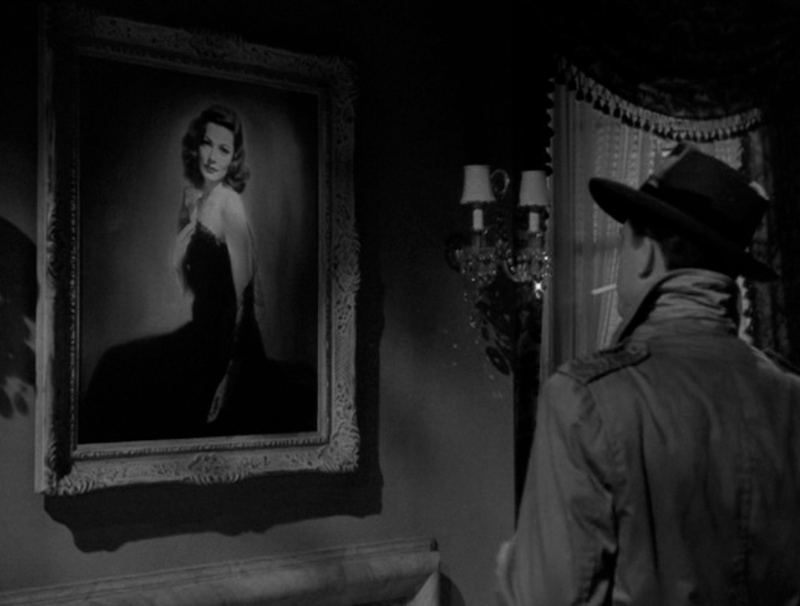 Still under the spell of Waldo’s words, Mark visits again Laura’s apartment, this time not as an indifferent cop on a case like all the others, but as a fascinated man, intrigued to know more about the woman in the portrait, than even about the culprit of the murder. He will be temporarily interrupted by Waldo’s “visit”, and will be confronted by him about the bidding that Mark placed on Laura’s portrait. 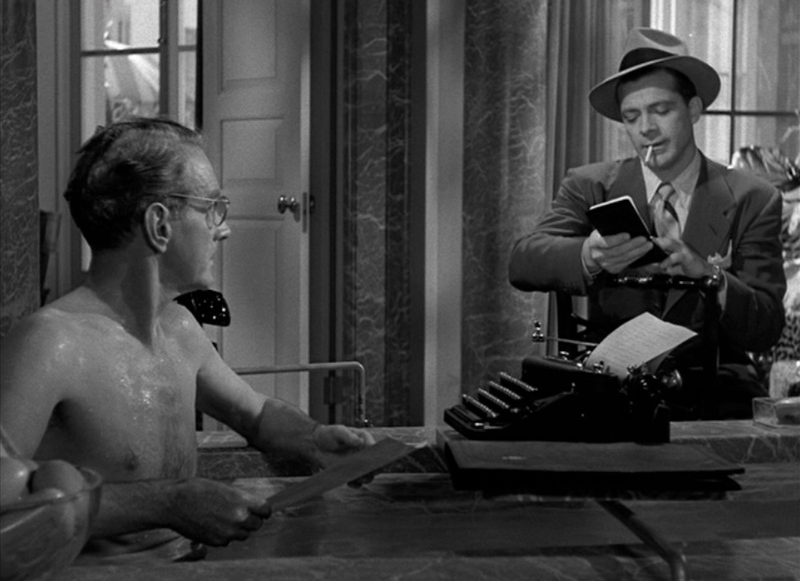 With an obvious joy, Waldo will tell him: “You better watch out, McPherson, or you’ll end up in a psychiatric ward. I don’t think they’ve ever had a patient who fell in love with a corpse.”. 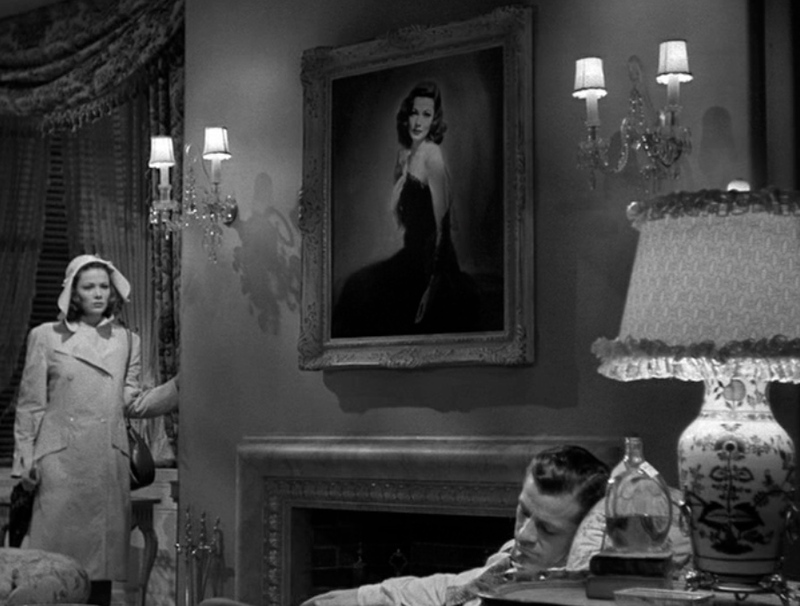 Finally leaving him alone, Mark is now free to “make himself at home”, and look closely at Laura’s portrait: it’s objectively a flawlessly beautiful image, but rather generic and uninspired as a piece of art (it was in fact a blown-up photo that was painted over to look like an oil painting, something that worked amazingly well in the film), but for Mark it now has a significance it didn’t have before. This is emphasized by David Raksin’s musical theme that is continuously playing, giving a meaning and emotional power to the portrait for us, viewers. As for Mark, the music he “hears” is probably Waldo’s words about his magnificent Laura. This policeman has seen it all,or so he believes. Inquests tend to bore him, murders all look the same : a “dame” gets bumped, places and circumstances may vary, but motives all look ridiculously similar. 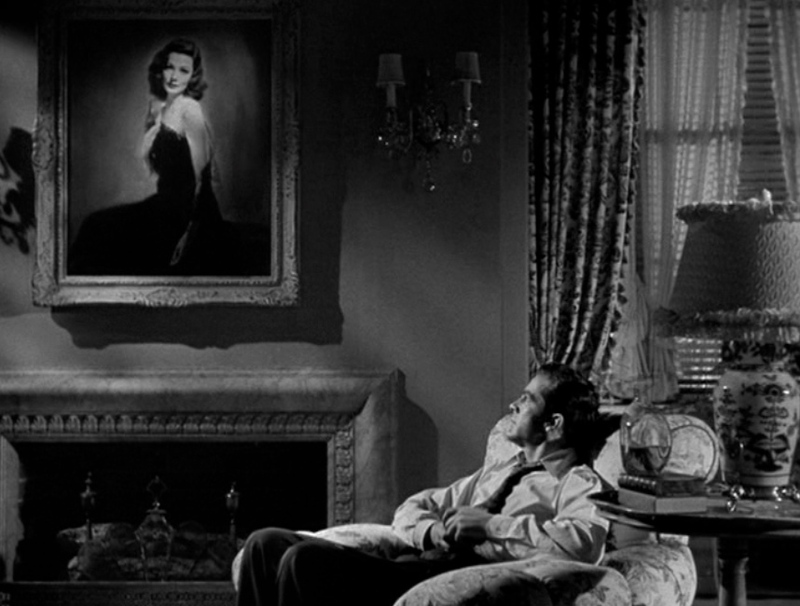 This obstinate realist doesn’t instantly fall in love with Laura’s ghost. 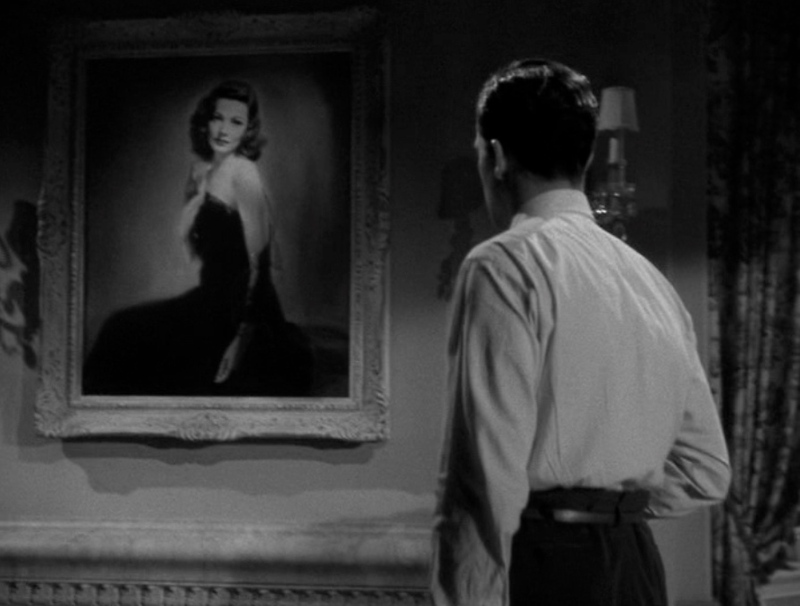 He hardly looks at her painting during his first visit to the apartment, and seems indifferent to her diaphanous beauty. 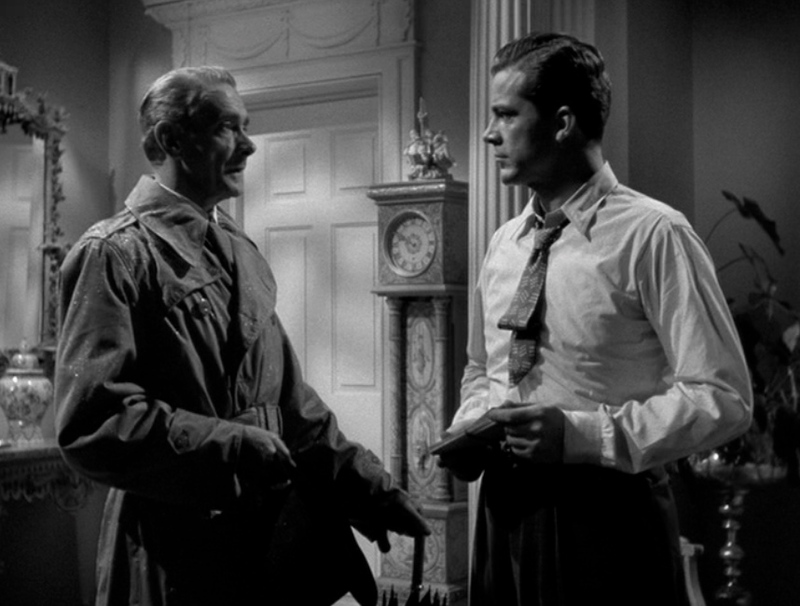 He just does his job, scrupulously gathering data, checking alibis, trying to destabilize the main suspects. Little games like that amuse him. Yet, there is a “little something” about Mark that doesn’t quite fit with his studied nonchalance. Waldo, an excellent judge of characters, senses it, just like he sensed Laura’s potential during their first encounter. Years before, Mark had been shot in the leg during an armed assault. Waldo wrote a column about that famous incident. 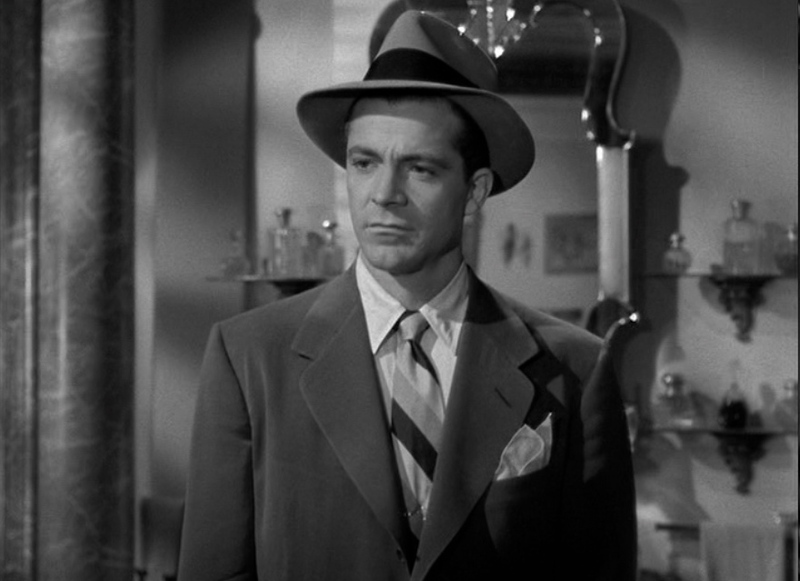 He fondly remembers “the detective with a silver shinbone” and invites him at his favorite Italian restaurant to tell him about Laura. Pain and loss will not diminish, but talking to a professional listener could help a little. Waldo is on the verge of confessing, Mark should book him that night, get the truth out of him, but he doesn’t. 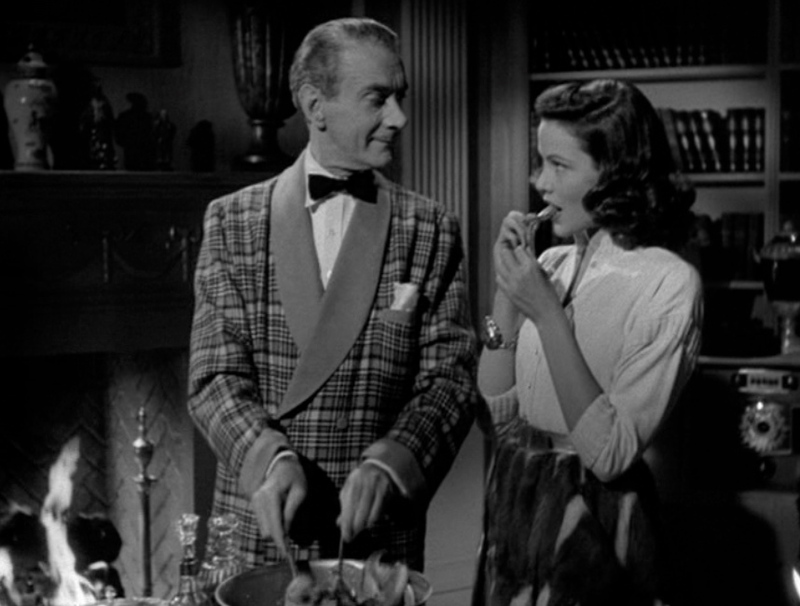 The story of Laura’s ascent is so enticing, Waldo’s excitement so palpable and contagious that McPherson probably starts to lose perspective then and there. Mark listens in silence. Side framing makes it difficult to catch his reaction (or rather his “non-reaction”) on the spot. 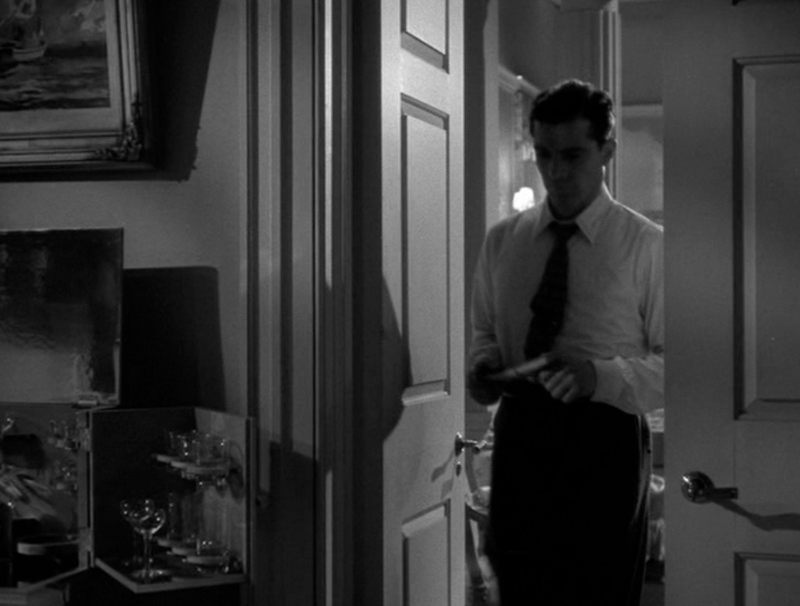 But the impact must have been quite strong to make him return to Laura’s apartment and start canvassing the place in one of the most obsessive love sequences in the history of film noir. 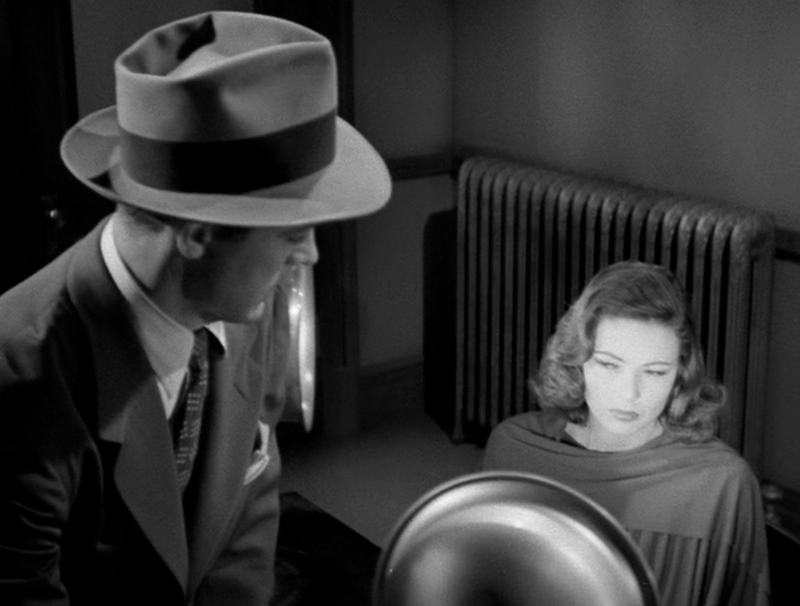 Preminger had been intrigued by what he considered to be an excellent “gimmick” : a “dead” woman resurrects, and instantly becomes a prime suspect. Hardly exciting, because no one seriously imagines that Laura would be stupid enough to murder a rival in her own apartment, in the presence of a worthless fiancé gigolo. Mark, nonetheless, has to consider that shaky assumption, or act as if he did. Laura’s grilling at the precinct turns out to be a key scene, strangely recalling the psychological torture administered by Waldo only a few days before. 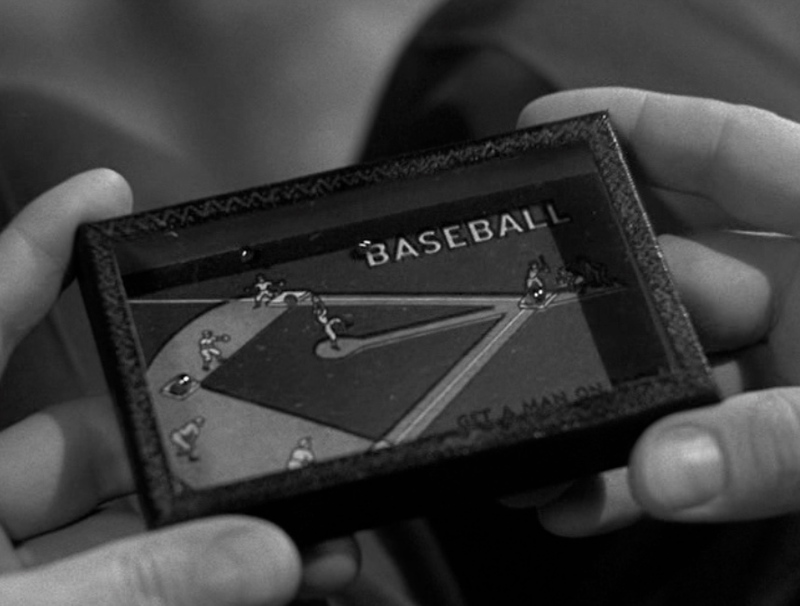 Waldo’s aim was “break” Laura and gain her love by prompting her to get rid of Shelby – a rather hopeless plan. Mark uses a quite similar technique, one that is even more brutal and frontal : he now wants to bring down and roughen up the cold icon he thinks Laura has become. 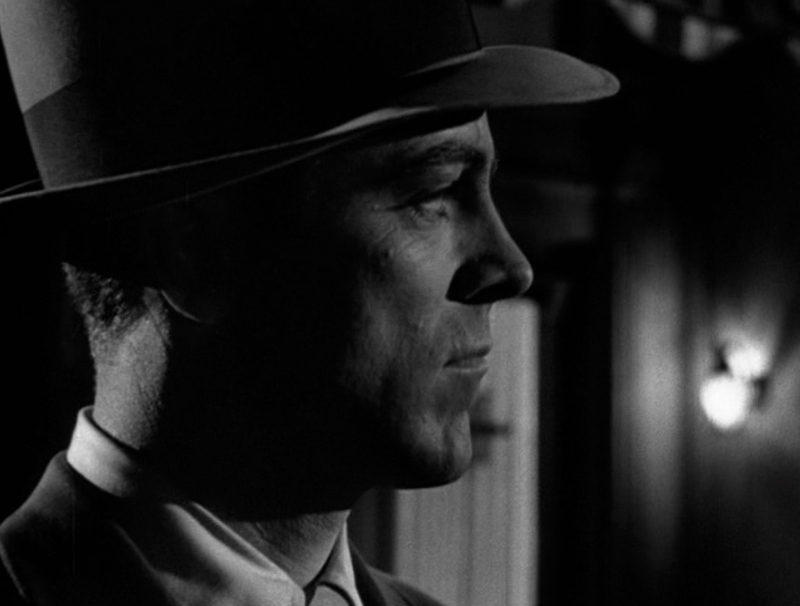 The inspector, dropping all pretense, then turns into a jealous and ominous lover. Laura resists defiantly until breaking into an unlikely smile – a reverse shot that “spells” retake and is certainly the phoniest close-up of the film. Waldo is right, of course : “his” Laura will never be happy escorting her new b.f. at the Policeman’s Ball, and Mark would hardly be able to adjust myself to the costly lifestyle of Laura. Neither would he enjoy being a kept man. Waldo had become the couple’s main antagonist, but he had also been their strongest “love instigator”. Once the mentor/master puppeteer disappears, Mark and Laura are left stranded, in search of new horizons and inspirations. Good luck to them both, they deserve it. It would be a little sad to imagine them six years later re-emerging with diminished prospects in WHERE THE SIDEWALK ENDS. 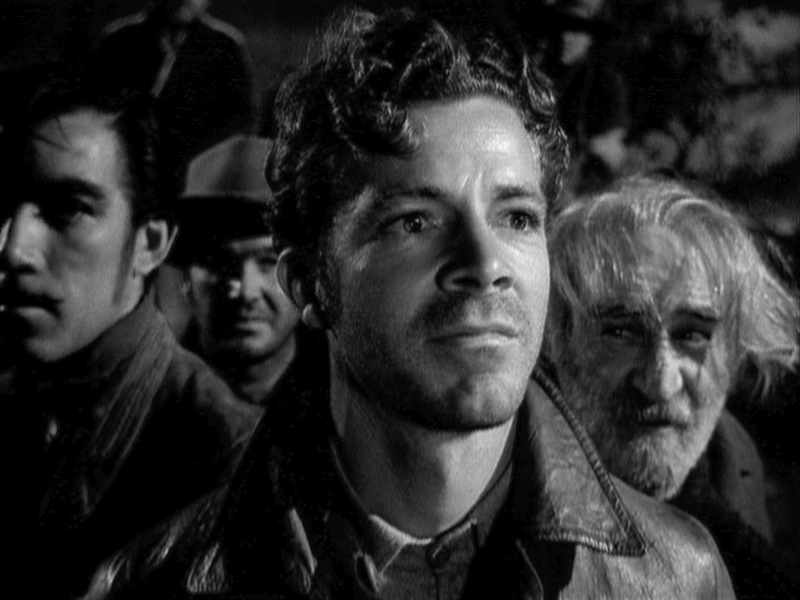 This entry was posted in Uncategorized and tagged Cliffton Webb, Dana Andrews, Darryl F. Zanuck, Laura, LAURA (film), Lewis Milestone, MARK, Mark McPherson, Otto Preminger, portrait, WALDO, Waldo Lydecker.